South Korea could still advance to the round of 16. The Asian side need to beat Germany 2-0 and hope that Sweden beat Mexico. But the hope for, what would be a miracle, is, however, small in South Korea camp. “I am very disappointed that we only have a small chance”, Seung-Woo Lee told the media. “But we will do our best”, Lee added. South Korea’s biggest problem in the first two matches has been scoring goals. Aside Heung-Min Son South Korea lack a true goalscoring threat. Without the help of his Tottenham teammates Harry Kane and Dele Alli Son, however, has struggled to make his mark on the tournament – despite scoring a goal against Mexico. Individual mistakes when going backwards have further added to South Korea’s misery. Another factor is that Germany seem to have rekindled their tournament spirit. On the brink of elimination against Sweden on matchday 2, it was only thanks to a last-minute miracle goal by Toni Kroos that Germany have stayed alive in this tournament. That goal has ensured that for now Germany are not joining the dubious records of previous world champions Italy and Spain, who were both eliminated at the first stage of their title defence. At the same time there is still work to be done by die Mannschaft. “I think what happened [against Sweden] will have a positive impact,” Germany captain Manuel Neuer told the press after the game. “We showed moral and a ‘never give up and believe in yourself’ spirit,” national team head coach Joachim Löw added. It is now Löw’s job to find the right mixture to get a victory with two goals difference that would open the way for Germany to advance to the next round. With Sebastian Rudy undergoing nose-surgery and Jérôme Boateng banned after receiving a double booking against Sweden Löw will have to once again rotate his side. One option would be to go with three in the back and two forwards up front. Playing both Timo Werner and Mario Gomez improved Germany’s play in the second half against Sweden and an extra defender could add more stability against a South Korea side that will try to look to hit Germany on the counter-attack. There are suggestions that Löw could rotate his side and make them look more like the 2017 FIFA Confederations side that won the tournament in Russia last summer. On the other hand, Löw has been reluctant to make to many changes and he might once against start with a 4-2-3-1 formation. 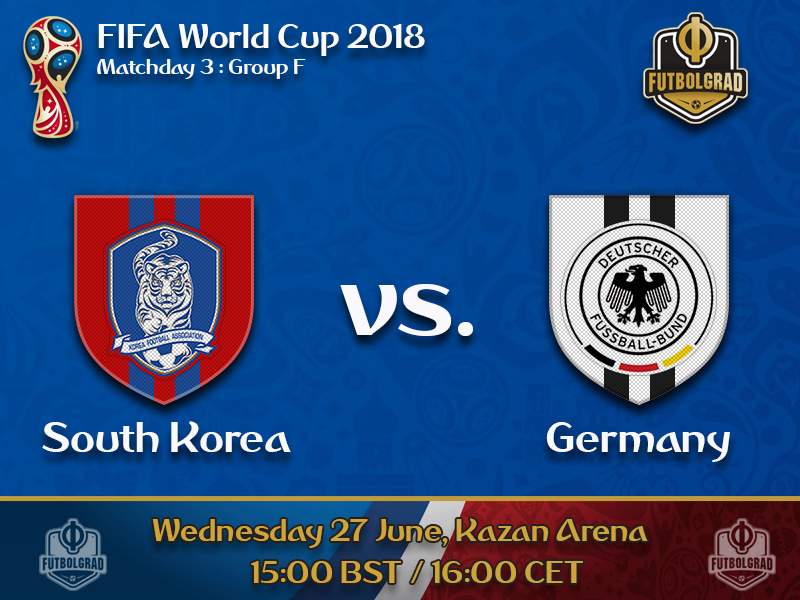 Either way, Germany have the quality to make the step against South Korea to the round of 16. In fact, the goal against Sweden seemed to have fixed some of the major issues in the Germany camp and die Mannschaft is due a strong performance, which is bad news for South Korea. Heung-Min Son is South Korea’s biggest star. The Tottenham Hotspur attacking midfielder scored 12 goals and seven assists in 37 English Premier League games this season. Fast and agile Son will be South Korea’s most dangerous man, and Germany will have to do well to contain him. Son might be indeed the only player that could threaten Germany’s backline, which has been vulnerable at times when hit fast in the transition game. Magic! Unbelievable! Out of this world! Those were just some of the phrases that came to mind after Toni Kroos had hit his wonder goal against Sweden. In a stroke of genius the Real Madrid midfielder salvaged Germany’s World Cup campaign. 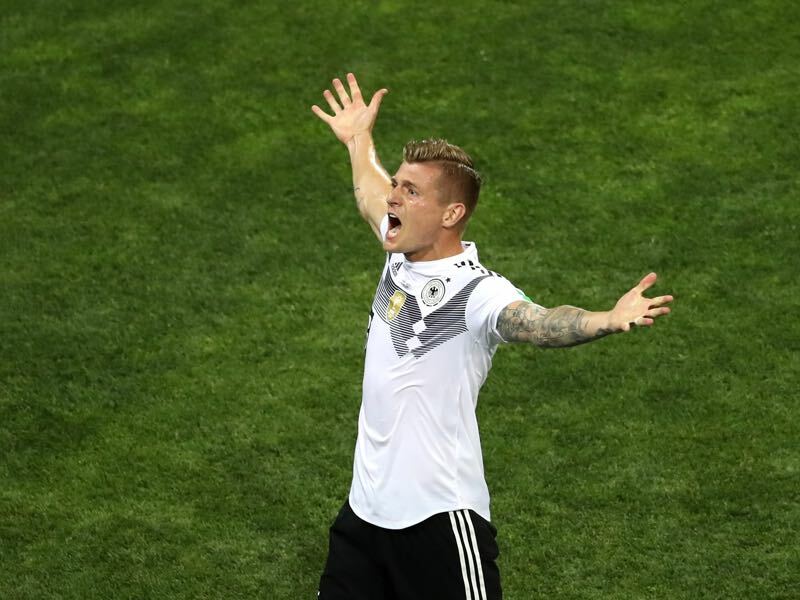 “Marco [Reus] wanted to shoot the free-kick directly, but I wasn’t convinced by that idea,” Kroos said with a smile on his face after the match. “We, therefore, decided to go with a different approach with me tapping the ball to Reus and then going with a direct shot”, the trick worked and Germany remain alive. It was a tremendous match by Kroos with only one small negative. His misplayed pass led to Sweden’s goal but Kroos responded with a fantastic performance that saw him have 144 ball contacts and play 113 succesful passes. 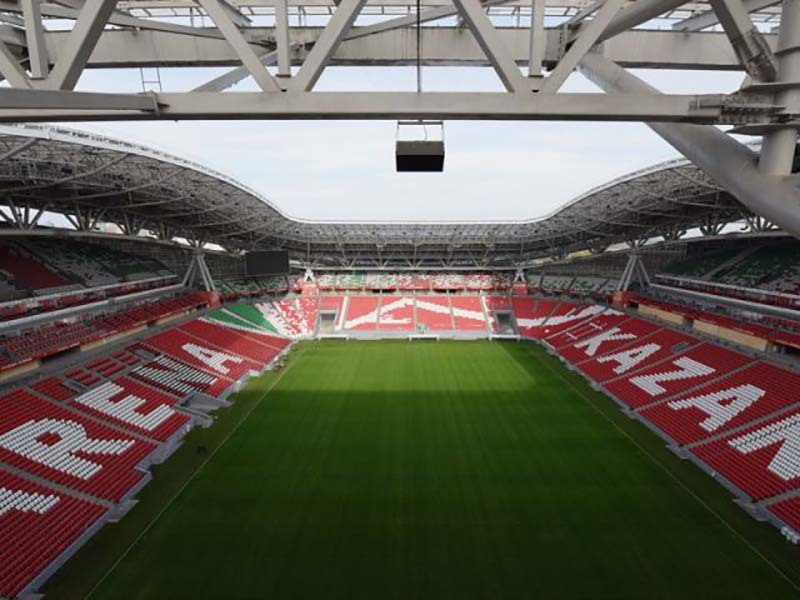 Two of the last three matches between the two countries took place at World Cups. Germany beat South Korea at both the 1994 and 2002 World Cups. Germany beat South Korea in the semi-final of the 2002 FIFA World Cup in South Korea and Japan 1-0 thanks to a goal scored by Michael Ballack. South Korea’s only victory was a 3-1 victory over Germany at a friendly match. Germany have won all five of their World Cup matches against Asian teams, scoring 19 goals in the process.